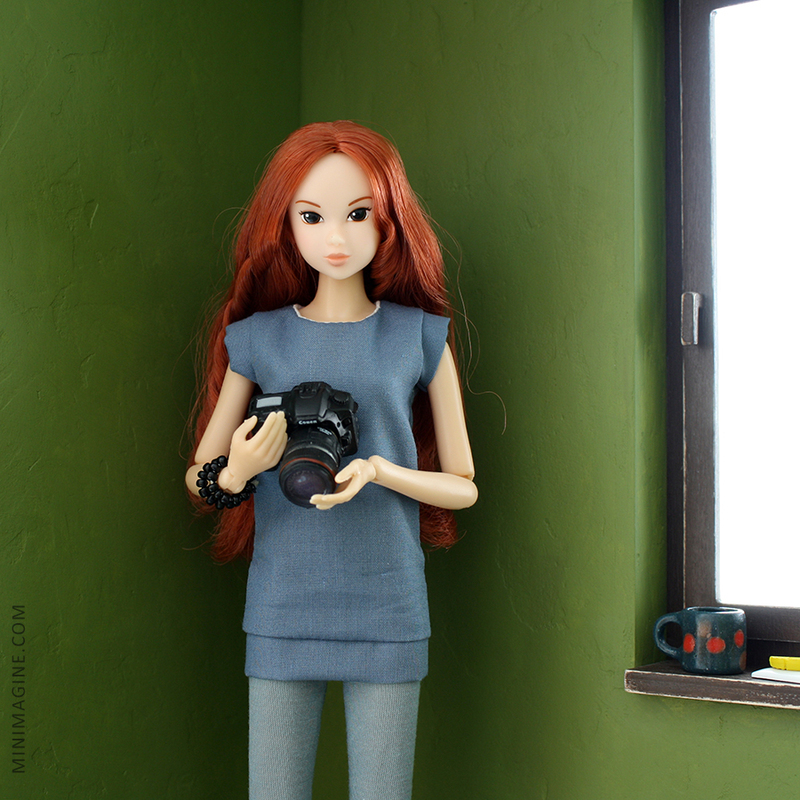 Another post from the series about my dolls. 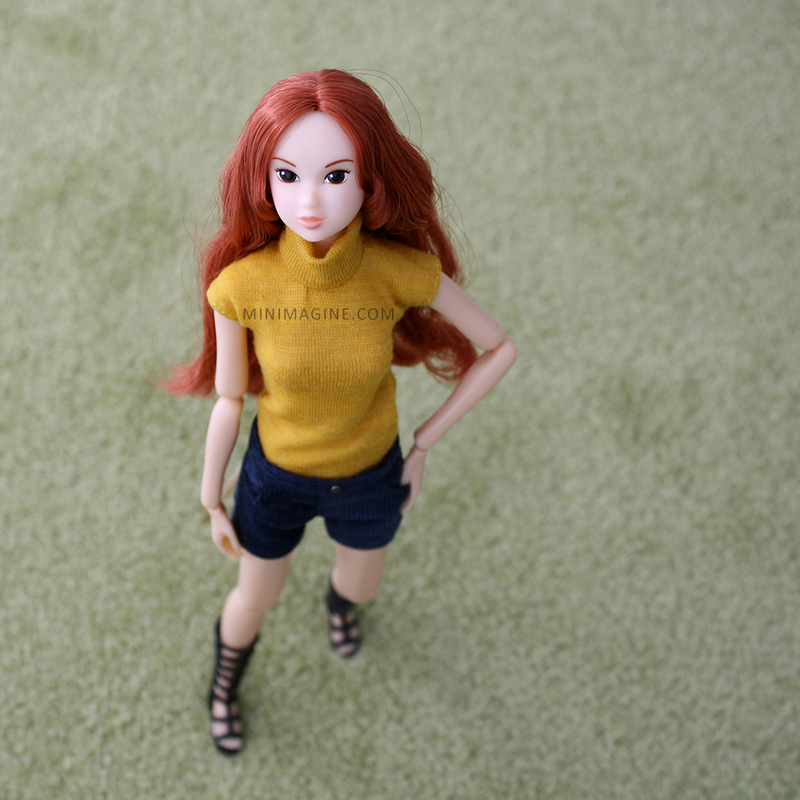 Aileen is Momoko "Fall in Wild Love" released in 2010. She arrived to me in late 2015. I have her original outfit, but I don't like it very much. The best are cord shorts. I wanted her because of her hair. 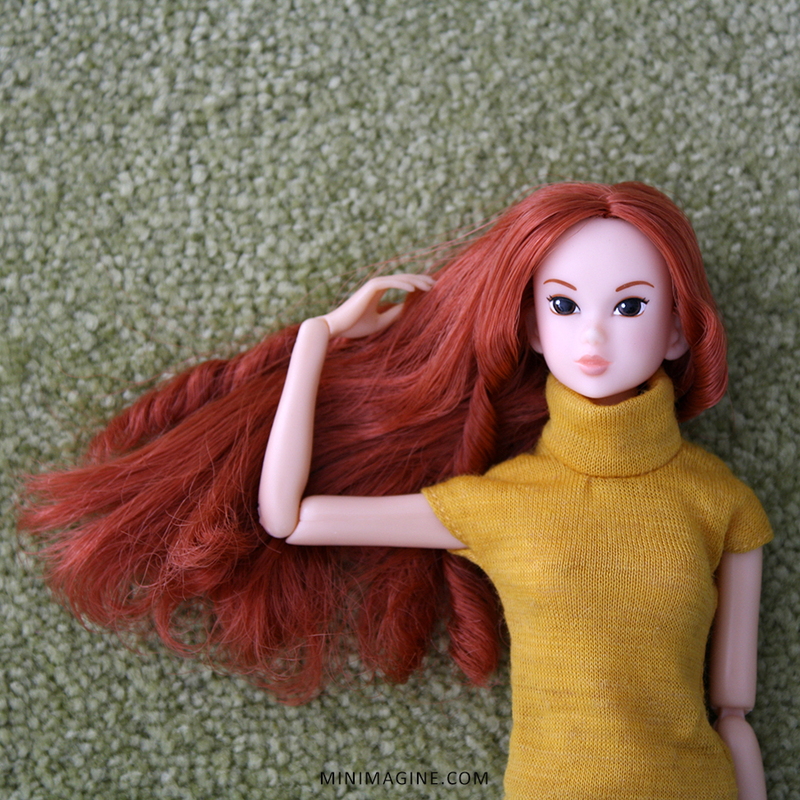 I needed real red hair Momoko. 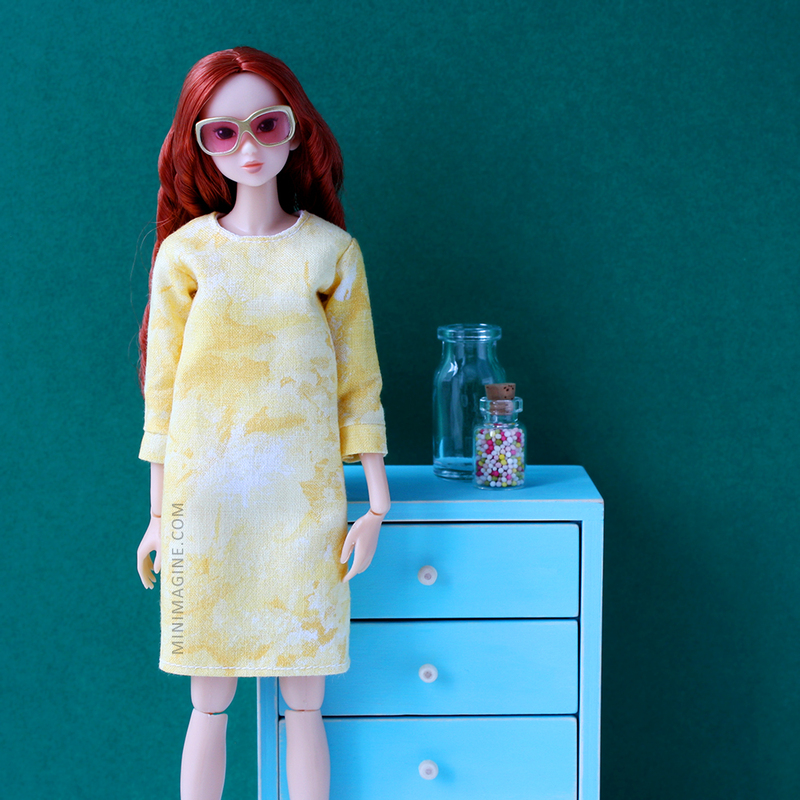 I decided between her and this one (honestly, I regret a bit that I didn't choose this second doll - her long hair would be easier to care and she has more attractive for me shoes). I love Aileen's hair color and saturated colors photos. I consider combing her curls but I'm not sure how it will look like. She looks good in softer compositions too. I would also like to thank you for visiting, comments, likes and shares! She is a very pretty doll! 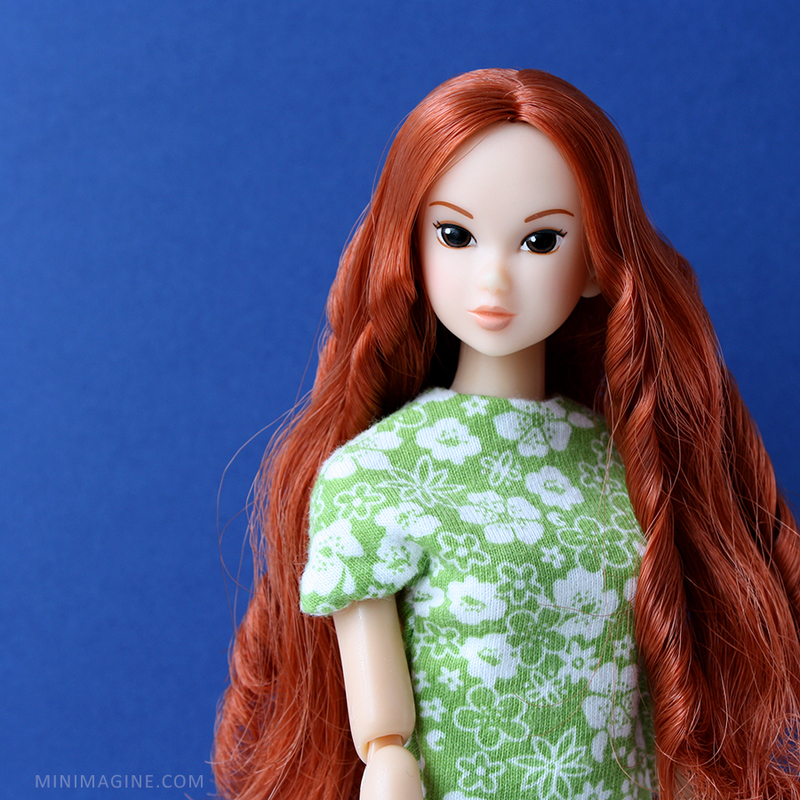 I think you could easily comb her hair and style it to look like the other doll's hair, but that is just me! I love the clothes you are showing on this doll. You make them, right? Thank you. I made most of the clothes (except her blouse from the photo with snowmen, mustard yellow roll-neck and dark blue shorts). Ładnie jej "uporzadkowałaś" włosy. Co do ubranka, to byłoby niekompletne, bo bez butów i zastanawiam się nad zostawieniem sobie spodni. Jeśli interesowałyby Cię peleryna, koszulka it o coś na włosy, to daj znać na mejla (zakładka kontakt). 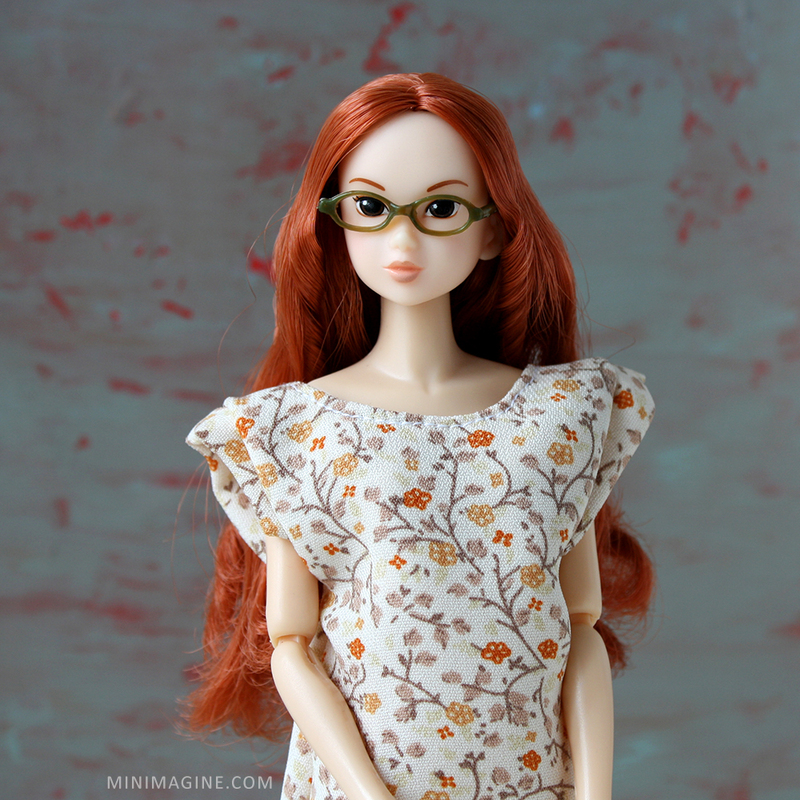 Oooh this is one of the Momoko dolls I will try to get at some point too. I've always liked her because of that vibrant red hair. 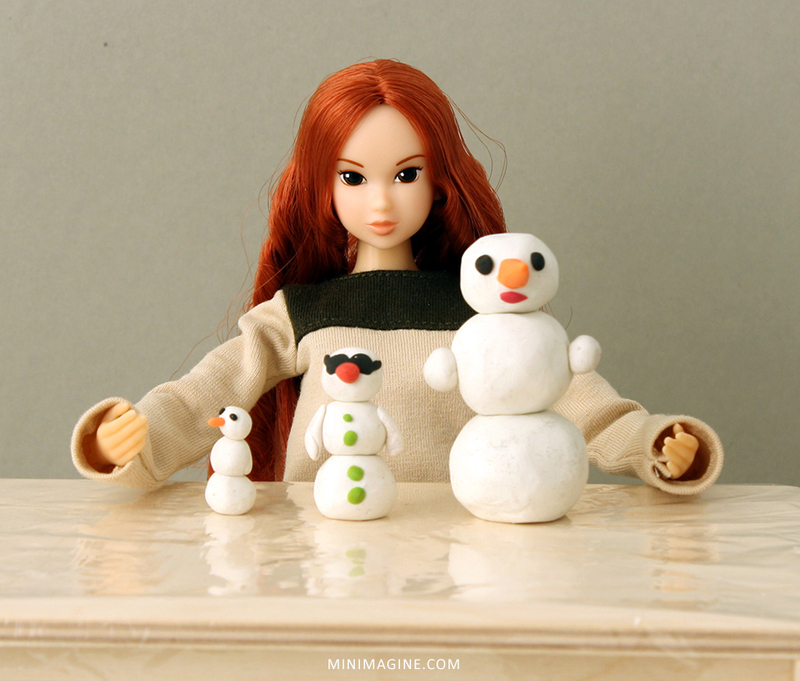 I've yet to add a redhead to my Momoko line. I love all your photos of her. I hope you will get yours soon! You won't regret! Kolejne, przepiękne zdjęcia i modelka! Obejrzałam je z największą przyjemnością!